Affiliate Programs offer budding entrepreneurs the quickest way to earn an income online without having your own product to sell. One of the biggest problems facing Network Marketers today is a lack of income, and with most Affiliate Programs taking approximately 30 to 45 days to pay you, it is understandable why 95 to 97 percent of people joining Network Marketing quit within their first 90 days in the industry. Is your Affiliate Program paying you peanuts for commissions? With thousands of Direct Selling, Network Marketing, and Multi-level Marketing Companies selling products and services today, one would think that they would have developed a commission program that would get commissions in the hands of their Affiliates or Representatives in a more timely manner, but with all of the charge backs, fraud, and refunds that occur, it is understandable why it takes so long to pay out commissions. Click Bank boasts one of the highest Affiliate Program commission pay outs with some of their vendors paying up to 75 percent commission on their products, but 75 percent of a $39 or even $99 product paid to you in 30 to 45 days is not going to keep you in business very long if your advertising budget is more than you’re earning from affiliate commissions. Another problem facing Network Marketers is a lack of qualified prospects that are interested in the products or services that they are selling. Combined with the lack of a steady cash flow you can quickly see why there is such a high failure rate or people just quitting this industry within a few months of joining. Both of these problems have been solved and a system for teaching the strategies that you need to generate the cash flow and the leads that you need to survive in this industry longer than 90 days is in place. All you have to do is have a burning desire to succeed, be willing to take action on the things that you are about to learn by implementing them into you your business, and willing to invest in yourself and your business and you can become one of the industry leaders that you hear about. Click here to get more information about how you can start generating the quality leads and the cash flow that your business needs to survive, and start learning the skills and strategies that you need to become a leader in this industry. 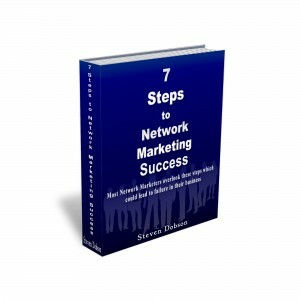 Four of the Biggest Problems Facing Network Marketers!